The arrival of a new collection of Bill Brown’s poetry is as welcome as the first merciful morning of a mild season. 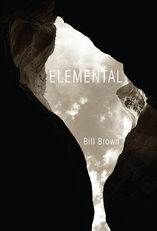 In Elemental, Brown’s humane and elegy-laced voice guides us through a landscape of loss and memory with his usual hard-earned deftness. This book is a field guide to the “common miracles” that allow us to confront the costs of rootedness and love. 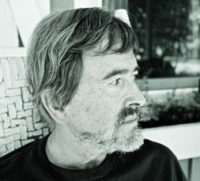 Bill Brown is the author of six collections of poetry, three chapbooks, and a writing textbook on which he collaborated with Malcolm Glass. During the past twenty years, he has published hundreds of poems and articles in college journals, magazines, and anthologies. In 1999, Brown wrote and co-produced the Instructional Television Series, Student Centered Learning, for Nashville Public Television. He holds a degree in history from Bethel College and graduate degrees in English from the Bread Loaf School of English, Middlebury College, and George Peabody College. Since 1983, Brown has directed the writing program at Hume-Fogg Academic High School in Nashville. He retired from Hume-Fogg in May, 2003 and accepted a part-time lecturer’s position at Peabody College of Vanderbilt University. In 1995, the National Foundation for Advancement in the Arts named him Distinguished Teacher in the Arts. He has been a Scholar in Poetry at the Bread Loaf Writers Conference, a Fellow at the Virginia Center for the Creative Arts, and a two-time recipient of fellowships in poetry from the Tennessee Arts Commission. In 2011, the Tennessee Writers Alliance awarded Brown Writer of the Year. He and his wife Suzanne live in the hills of Robertson County with a tribe of cats.